Get it fixed quick. Call 0800 068 1216 now. Welcome to Drain Doctor Plumbing Gloucestershire Plumbing and Drainage. 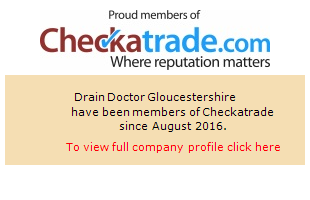 We are proud to announce that Drain Doctor Gloucestershire is now owned by Carl Butterfield of Daniel James Property Group Limited. Although we are moving a short distance across The Steadings Business Centre to Unit 28 it's business as usual with all the long standing and highly experienced technical and office teams continuing to offer the same outstanding drainage and plumbing service to all our customers. Our aim is to Fix it Once - Fix it Right - Fix it Forever - Fix it Now! !